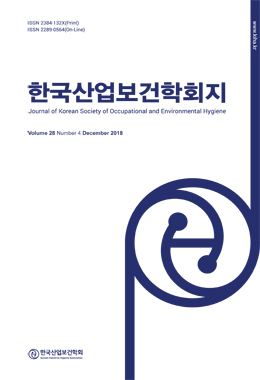 Objectives: No 3D anthropometric analyses have been conducted for Korean children’s faces for the purpose of designing respiratory protective devices. The aim of this study was to develop masks against yellow dust and fine particulates, particularly for children in Korea. Methods: This study utilized a 3D scanning method to obtain 16 facial anthropometric data from children, ages of 5 to 13 years old. A total of 144 boys and girls were recruited from the kindergarten, elementary schools and middle schools in Seoul. With facial dimensions obtained, cluster analysis was performed to categorize them into similar facial groups. For each cluster, an optimal mask was designed and manufactured using a 3D printer. In addition, lung function data were obtained from 62 subjects and compared with those of normal adults. The pulmonary physiological results were subsequently used to suggest a test method for mask certification. Results: Facial shapes were classified into tree clusters: small, medium, and large. The face width and length for the first group were small with high nosal protrusion. The face width and length for the second group were the largest among the three clusters. The third group had the largest angle of nose root - gnathion(n-prn-gn). Age was the most significant variable in the facial dimensions. Children’s pulmonary physiological capacity was about 60% of adults’ capacity. The results of fit test using the prototype masks developed showed very good fits for children. Conclusions: For Korean children, three mask sizes will be sufficient and practical for providing protection against yellow dust and fine particulates. Anthropometric data obtained using digitalized 3D face analysis can be very effective for designing respiratory devices. 3D images can be accurate and easily measured for multiple dimensions, particularly for curved areas of the face. It is imperative to adopt different test methods for certifying respiratory protective devices for children, since their pulmonary physiological capacity is inferior compared with that of adults.